In this file photo, New England Patriots Quarterback Tom Brady talks to the media during a press conference to address the under inflation of footballs used in the AFC championship game at Gillette Stadium on January 22, 2015 in Foxboro, Massachusetts. The players' union has proposed a settlement on Tom Brady's four-game suspension last week, but has not gotten a response from the NFL. A person familiar with the proposal tells The Associated Press on Thursday the offer was "met with silence." The person spoke on condition of anonymity because the NFL Players Association's offer was confidential. There is no timetable on when Commissioner Roger Goodell will rule on the New England quarterback's appeal. 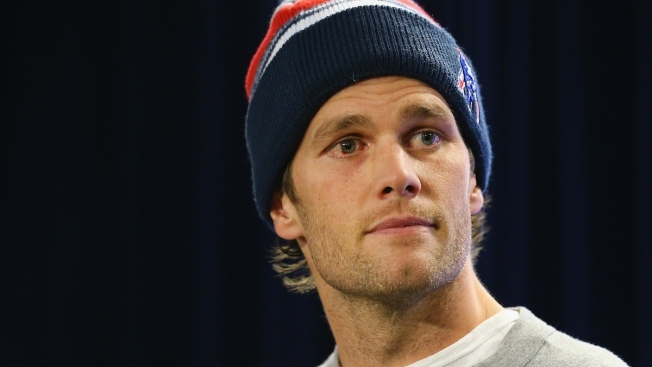 Several media reports indicated the union's proposal called for Brady paying a large fine, but with no suspension. The Patriots paid a record $1 million fine and were stripped of two draft picks, including a No. 1 selection next year. Brady was suspended for his role in using underinflated footballs in the Patriots' victory over the Colts in the AFC title game. A league-sanctioned independent report found Brady at the least was "generally aware" of the use of the footballs.